Styled with erving pant and andrew t-shirt . 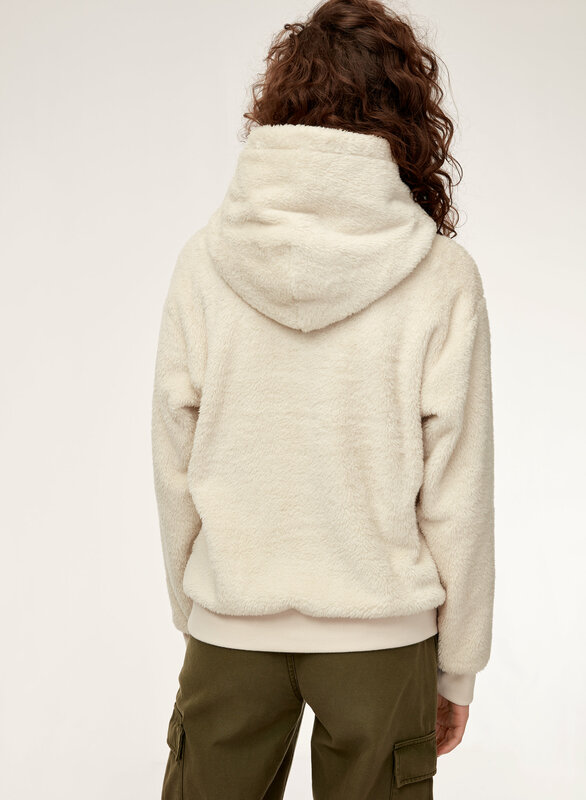 It's a cozy trifecta: textural teddy fleece, relaxed fit and cozy hood. If that doesn't make you feel warm you might need to check your thermostat. 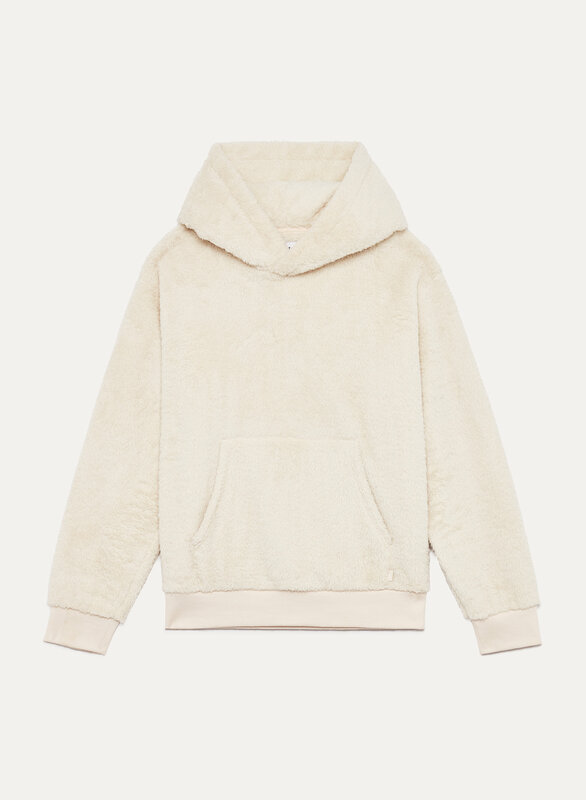 This is the softest hoodie, it's like wearing a blanket! It's surprisingly warm since it's not super thick. The hood is pretty big so it's hard to get it to lay flat (can't have your hair down over it if you have long hair). The gold color is super pretty, glad I purchased! Really good quality and lovely and warm definitely worth the money. Super comfortable and warm. 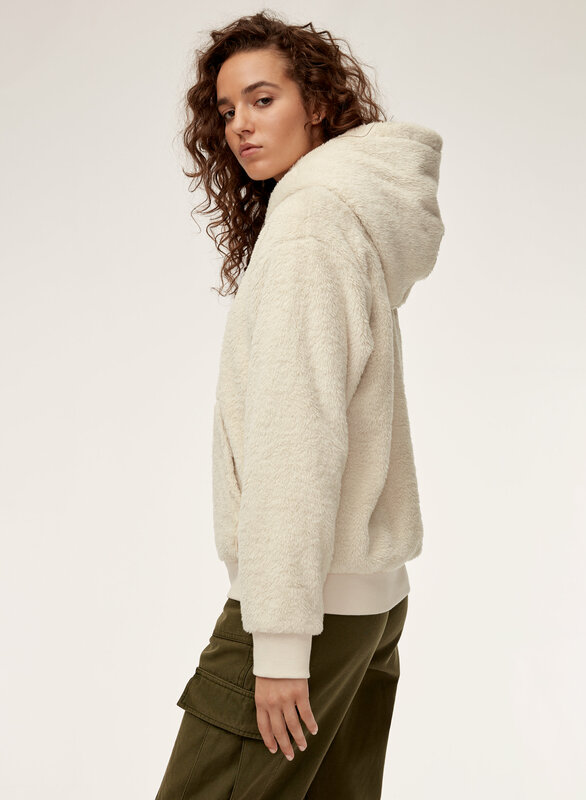 I usually wear a size small from Aritzia but went for a little oversize fit with this sweatshirt. It runs very small. My expectation was that the hoodie would fit more like the TNA “perfect hoodie” - a bit loose, longer and better size hood. This hoodie is comfortable, soft and made with quality care. The fit is where I am a little disappointed. It’s a bit short, and a little too fitted. I got my normal size, medium. A wonderful, comfy sweater that I don’t feel like I’m over heating. Love. It. This hoodie fits great and the warm fuzzy texture makes it a little more special. I'm 5'2'', 34 D and got the large in black.Fits perfectly relaxed. It is the softest hoodie I have ever owned. Absolutely true to size. Would definitely order one in another color. Like you are being hugged by a teddy bear! So comphy! Everyone wanted to rub it. 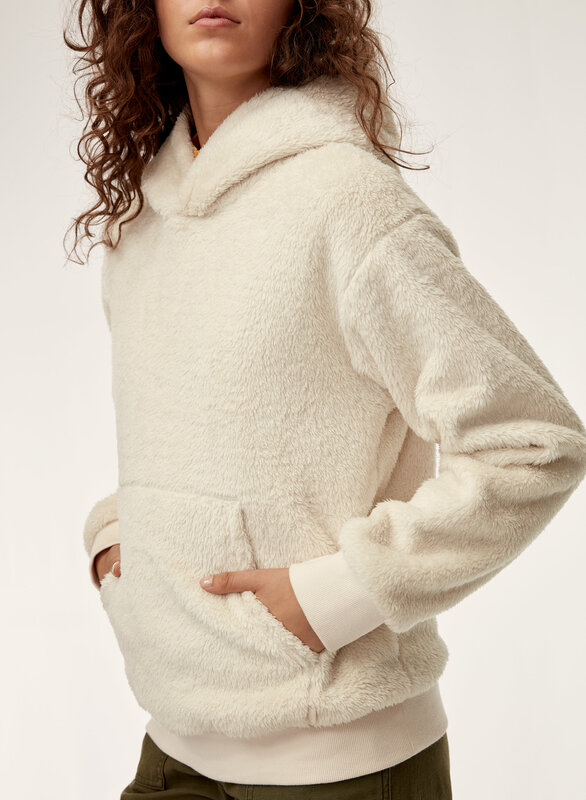 So cozy and warm but not bulky.